Detail from the James Brinsfield Retrospective at Joseph Nease Gallery. Art nights and arts districts are nothing new. All across the country cities and towns have been incorporating the arts into their inner city communities. 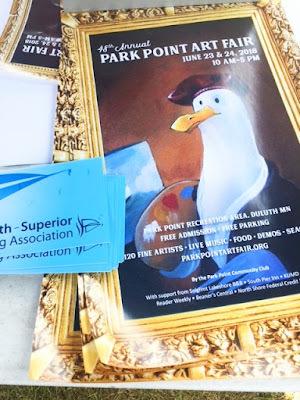 On the local front Superior had its Phantom Galleries for a spell, and for a few years a handful of galleries hosted a Second Friday Art Crawl, which expanded to incorporate additional spaces at times. This spring I began to hear rumors of an emerging arts consortium that was striving to build on this tradition, and last night was the official soft launch. The scale of this event was much larger than I originally anticipated, 23 venues listed on the brochure and map. The consortium of galleries, venues, artist studios, bars and performance venues is called the Downtown Arts Collective. The Downtown Arts Walk is the creation of The Downtown Duluth Arts Collective, representing more than 25 participating arts businesses/groups, individual artist studios and cultural centers. If you were doing a walkabout (and the weather was perfect for that) a map would have directed you to the following locations: 315 Gallery at the Washington Co-op, AICHO (Galleries, Dr. Robert Powless Cultural Center, Indigenous First Art & Gifts) , Arola Architecture Studios, Art in the Alley, Blush, CF design ltd, Duluth Art Institute (DAI), Duluth Coffee Company, Mavis. Designer Showroom, Joseph Nease Gallery, Legacy Glassworks, Lizzard’s Gallery, the Nordic Center, Pineapple Arts Building: the Pineapple Arts store, UMD Faculty Studios, Alison Aune Studio, Kirsten Aune Textiles, Magic Smelt Ship Shop, The Tight Squeek Press Shop, Prøve, Rockingchair Studio, The Red Herring, Tischer Photographic Gallery, Wagner Zaun Architecture, and Zeitgeist Arts. As the saying goes, the red carpets were rolled out. 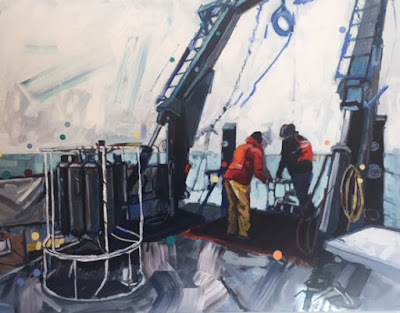 Bill Shipley's Sailboat Series is hanging at Red Herring now. Someone asked if this was the same as the Art for Earth Day group of galleries. I noted that this particular effort is directed more specifically to the downtown arts corridor. I heard through the grapevine that Mayor Emily Larson was quite enthused by the effort. Most assuredly it has become an organized way to demonstrate how vibrant and diverse the arts scene is here. 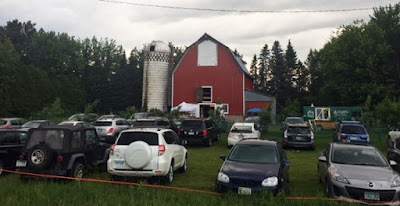 I visited a little more than half the venues before chugging down to Wrenshall to catch friends and a few flicks at the Free Range Film Festival, possibly one of the more unusual such festivals in the country, if not the world. It takes place in a barn, and the films of various length flow into themes quite far from your traditional Hollywood fare. Kudos to former DAI director Annie Dugan and friends for what you have achieved. EdNote: Film Festival CONTINUES TODAY. The Barn is located just the other side of Wrenshall at County Road 4. The "theaters" were packed in Wrenshall last night. Lizzards represents a full range of artists whom I follow. 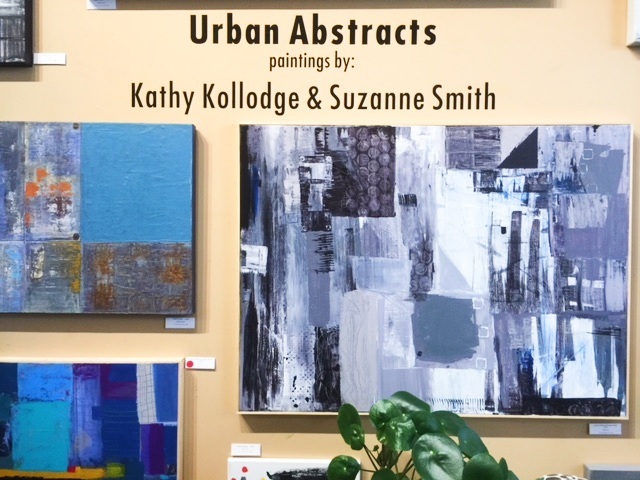 This month highlighted Urban Landscapes by Kathy Kollodge & Suzanne Smith. Joellyn Rock's designs always give me a lift. Rockingchair Studio. This is just a beginning. I'll share more soon. Hopefully we'll see you on the scene next month. Art is going on all around you. Engage it. 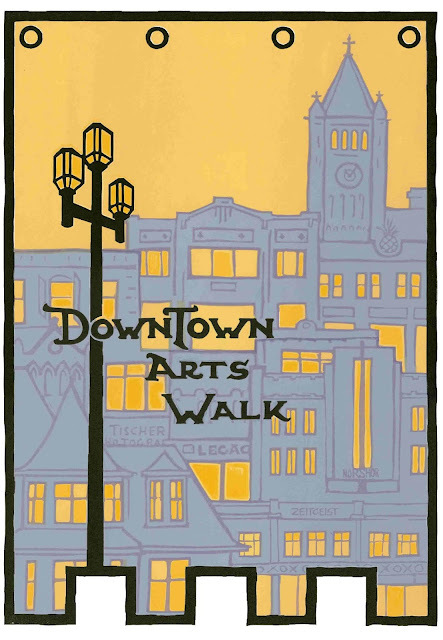 For weeks we've been hearing rumblings about the emerging Downtown Arts Walk and it's finally here. At first I heard that there were a dozen art spaces -- galleries and studios -- participating, and then 14 and 17 and now 25. The association of participating galleries, groups, individuals, cultural centers and businesses is called the Downtown Duluth Arts Collective. Details below. Special thanks to Esther Piszczek for gathering all the loose strands and organizing them to be passed along to the community. If something is missing, let us know. 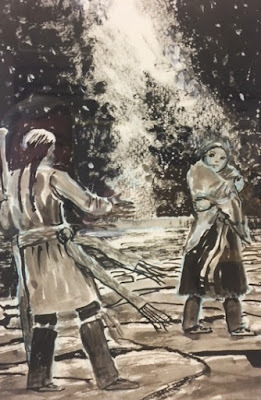 Friday, June 29, 5-9 p.m., Opening Reception: Niiyo-wiij-anishinaabe (Four Friends), Depot Great Hall, 506 Michigan Street "Over fifty pieces of work by three prolific artists: Carl Gawboy, George Morrison and Joe Geshick depict the lives of the Anishinaabe through their personal expressions of visual art. Niiyo-wiij-anishinaabe (Four Friends) celebrates the individual’s journey including the viewer, the fourth friend. A small opening reception will include a ceremony to welcome the art, recognize the land, and thank the artists and their families for bringing together the Anishinaabe community. There will also be a jazz guitar performance by Briand Morrison." 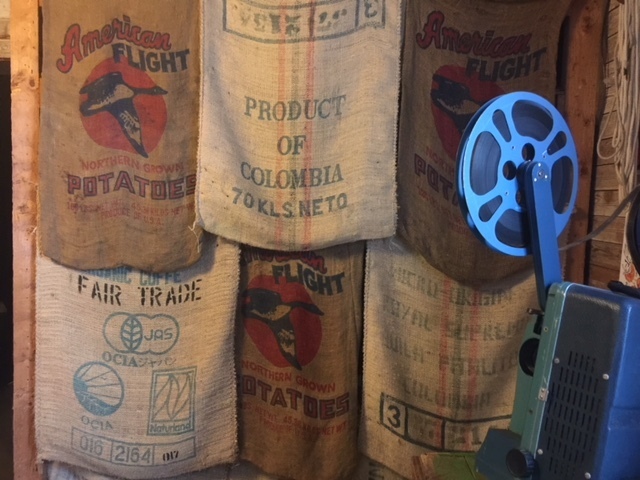 Closing Ceremony to be held on Tuesday, July 24, 6-8 p.m.
Friday, June 29, 7-11 p.m., Free Range Film Festival, The Barn in Wrenshall, 909 County Road 4 (7 p.m. and 9:30 p.m. showings) "Selected films are shown in our massive hayloft. A 14 ’x 24’ screen and surround sound round out your film-going experience. While there is officially no charge for admission, the organizers do ask audience members for a $10 donation to help pay for barn maintenance." Films Continue: Saturday, June 30, 2 p.m., 7 p.m., and 9:30 p.m. showings. 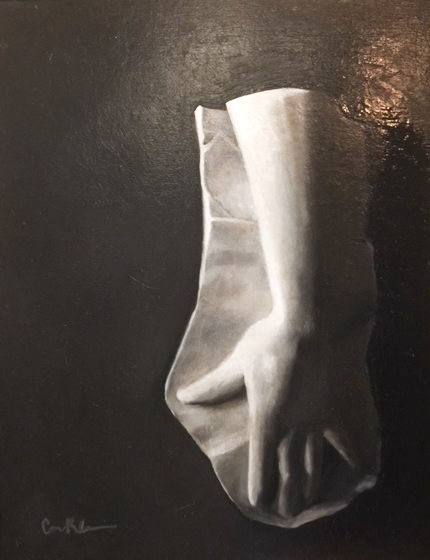 Saturday, June 30, 10 a.m.-3 p.m., Art on Tap, Blacklist Brewing, 120 E. Superior Street. Art and ice cream! Blacklist Brewery will be hosting a pop-up art fair with artists representing multiple disciplines. 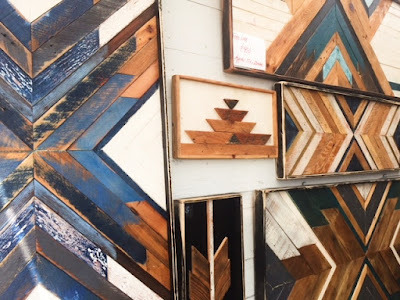 A wonderful place to find a unique wedding or graduation gift while enjoying a pint or a cone from Duluth's own Love Creamery. Saturday, June 30, 7 p.m., Concert: Strikepoint, First United Methodist Church (Coppertop), 230 E. Skyline Parkway "Strikepoint is one of the world’s top handbell ensembles. This performance is the homecoming concert of the group’s 2018 summer tour, which took them to Niagara Falls and Rochester, NY. Their recordings have been featured on National and Minnesota public radio and other nationally broadcast programs. Admission is free, but a $15 donation is suggested." Sunday, July 1, 10 a.m.-4 p.m., Zenith Bookstore 1st Anniversary Party, 318 N. Central Avenue "One year ago – on July 1, 2017 – we opened our bookstore doors not really knowing what to expect. 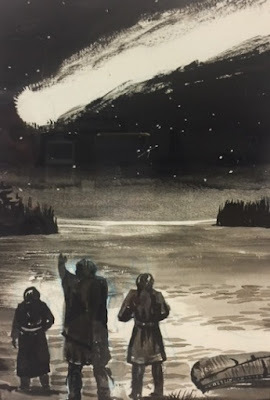 Since then, week after week after week we continue to be amazed, humbled, inspired, and deeply moved by the loyalty, support and love of the people of Duluth, by the community of West Duluth, by the writers, poets, and publishers of the Twin Ports, and by our wonderful, wonderful customers. On Sunday, July 1 we will celebrate our anniversary with a day-long party – prizes throughout the day, and a store wide 10% sale on all items. Please come in for a piece of anniversary cake and to say hello – and maybe even exchange a hug!" Mondays, July 2, 9, 16, 23, 30, 5:30 p.m., Tangling Mondays, Mount Royal Library, 105 Mount Royal Shopping Circle This group meets in the the old Yarn Harbor space, which was taken over by the library awhile back (on the left when you walk in). It is open to anyone, but primarily focused on pattern drawing. Bring your supplies and something you want to finish or start. No instruction, no fee, no organization. It's wonderful to tangle together, if schedules align, and lovely to tangle alone. If you find yourself alone, no worries, another Monday is right around the corner. Enjoy! 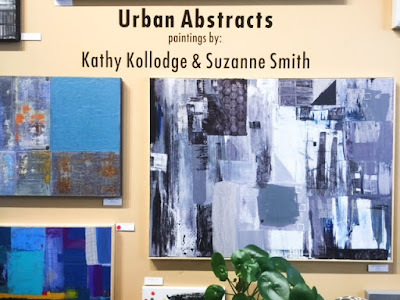 Tuesdays, July 3, 10, 17, 24, 31, 12:30-3 p.m., Open Studio at the Duluth Depot, 506 W. Michigan Street The Duluth Art Institute offers a regular Tuesday open art-studio session at the Depot. People of all abilities practicing all artistic mediums are invited to bring their own supplies and join the weekly group. Cost: $5 plus a DAI membership (first session is free). 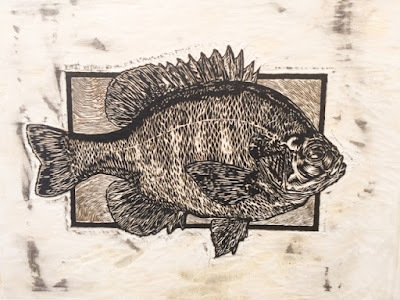 Thursday, July 5, 1-4 p.m., First Thursdays Open Studio, Duluth Art Institute Lincoln Park Building, 2229 W. 2nd Street "Bring your supplies and artistic spirit to the beautiful and inspiring historic Lincoln Building. Connect with other creative people, spending time experimenting with your medium of choice. Each session will include time to create and optional end-of-session group critiques." $5/session + DAI Membership, no registration required, just drop in. Sunday, July 8, 7-9 p.m., Gag Me With A Spoon - A Community Storyshare, Teatro Zuccone, 222 East Superior Street Adeline Wright hosts this evening of storytelling and open mic journal sharing in the style of the Moth and Mortified podcasts. There will be featured storytellers and a musical guest. Member of the audience are also welcome to sign-up on the night for an 8 minute open mic journal-sharing segment. Suggested Donation: $5 at the door. FB Event Page. 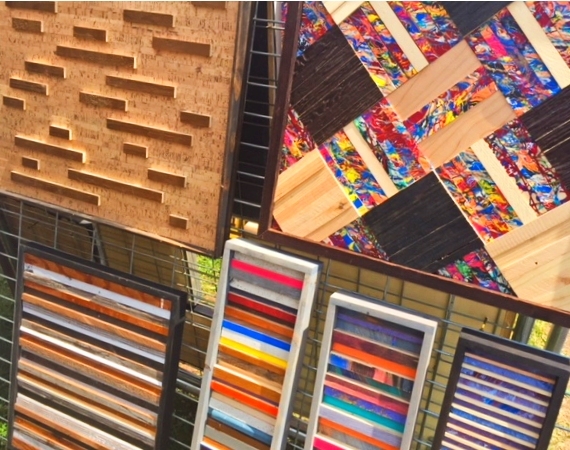 Tuesdays, July 10, 17, 24, 31, 10:30-12:30 p.m., Art Canopy, The Depot, 506 W. Michigan Street "On Tuesdays for four weeks in July, the Duluth Art Institute hosts “Art Canopy” outdoors under the porte-cochere at the Historic Duluth Union Depot. 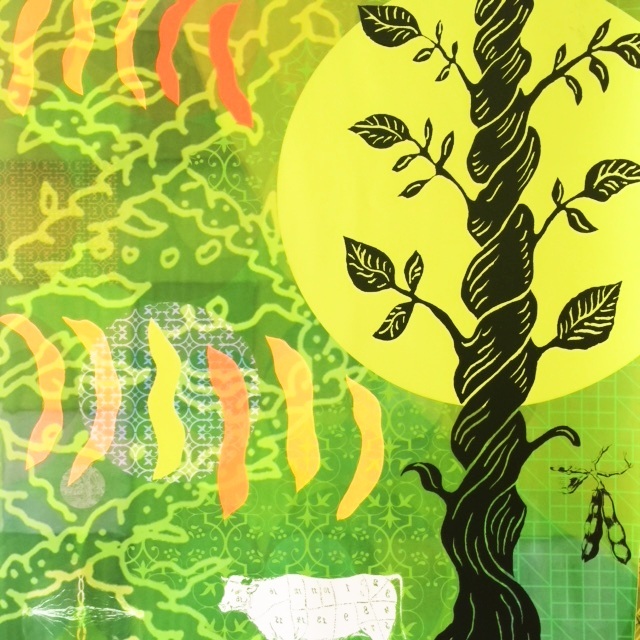 People are invited to stop by and adventure into art with free demonstrations and art-making experiences." 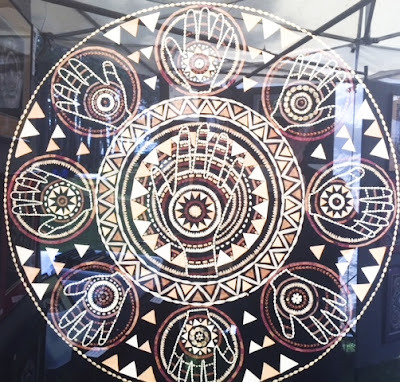 Wednesday, July 11, 6:30-9:00 p.m., Zentangle (R) & Wine, Master Framing Gallery, 1431 London Road Come experience the fun and relaxation of drawing simple, repetitive line patterns with pen and ink and pencil shading. No previous drawing experience necessary. Class Cost: $35; Supplies: $10 (or use supplies provided without additional cost). RSVP to episzczek@gmail.com. Seats are limited. Thursday, July 12, 6-9 p.m., Opening Reception and Artist Talk with Chholing Taha: Every Spirit Tells a Story, Duluth Art Institute Morrison Gallery, The Depot, 506 Michigan Street "Chholing Taha is a CreeFirst Nations artist based in Anoka, MN who uses Native imagery to express both contemporary issues and indigenous stories. Solitude and wilderness have been a loyal companion throughout her lifetime." On View: July 12-September 2. Thursday, July 12, 6-9 p.m., Opening Reception and Film Screening: Sonic Divide: States, The Duluth Art Institute, John Steffl Gallery, The Depot, 506 Michigan Street "The Sonic Divide: States film features 30 commissioned scores from 30 different composers performed during MacDonald’s mountain bike journey along the Great Divide. 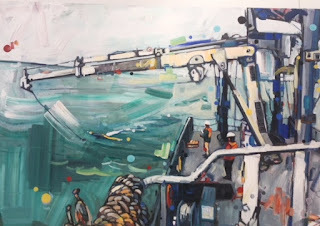 Four paintings, by Duluth painter Kenneth D. Johnson, accompany the film." Film Screening: Thursday, July 12, 7:30-9 p.m., The Duluth Playhouse On View: July 12-September 2. 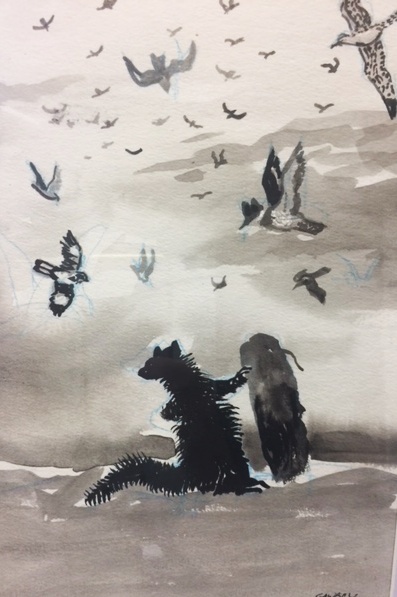 Thursday, July 12, 7-9 p.m., Book of Beasties Book Launch Party with Author Sarah Seidlemann, Zenith Bookstore, 318 N. Central Avenue "Celebrate the launch of Sarah Bamford Seidelmann's new book! The Book of Beasties is all about the magic of the beasties and how seeking out the messages of animals and their spirits can REALLY help! Sarah will be sharing stories from her own life and giving you the 411 on how to unravel your own beastie messages to help you navigate the trickier parts of your life." Friday, July 13, 9:05 p.m., Greater Downtown Council's Movies in the Park: Dirty Dancing (PG 13), Leif Erikson Park. 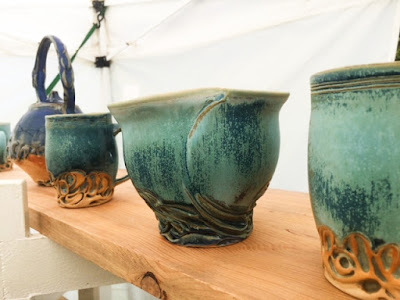 Saturday, July 14, 10 a.m.-3 p.m., Nice Girls of the North 2nd Saturday Marketplace, Lakeside Lester Park Community Center (the former Lakeside Library), 106 N. 54th Ave. East "Free coffee, cookies, and a friendly atmosphere await while you browse a collection of handcrafted clothing and bags, pottery, jewelry, stained glass, photography, personal care products, baby items and much more. One central checkout, most major credit cards accepted." Tuesday, July 24, 6-8 p.m. Closing Reception: Niiyo-wiij-anishinaabe (Four Friends), Depot Great Hall, 506 Michigan Street "Niiyo-wiij-anishinaabe (Four Friends) celebrates the individual’s journey including the viewer, the fourth friend. The closing ceremony will include a pipe ceremony, feast, speakers and presentation of gifts in the Great Hall of the Depot." Saturday, July 28, 10 a.m.-3 p.m., Woman Made Art & Gift Fair, Peace Church, 1111 N. 11th Avenue E. "It’s a one-day marketplace with an assortment of items from aprons to soap to cards to jewelry and more, made by about 20 female artisans from the region." Saturday, July 28, 3-7 p.m., Art on Tap, All Pints North Summer Brew Fest, Bayfront Festival Park 120+ Breweries; 21+ Only Event - ID Required at Entry; Rain or Shine; No Pets Allowed; Blankets and Folding Chairs Allowed; Sealed Water Bottle Allowed. Purchase your tickets HERE! There are all kinds of classes and other ways to immersive yourself in the creative vibe that energizes our community. Keep exploring. Tonight's forecast looks good. If you see me on the Downtown Art Walk, do say hello. It will be a good evening to celebrate art. 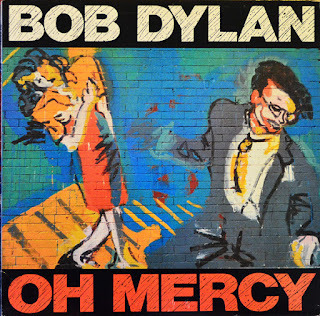 When Dylan's Oh Mercy was released in 1989 it was hailed as another comeback album from the "Comeback Kid", a guy whose whole career could be considered a series of highlight reels. As for me, I would have to agree that the studio albums produced between Infidels and Oh Mercy -- Empire Burlesque, Knocked Out Loaded and Down in the Groove -- were inconsistent and lackluster. And then came this gem. What's interesting to me is how laid back most of this album is, though. "Everything Is Broken," another favorite two tracks later, is the only other fast-paced tune on the album. 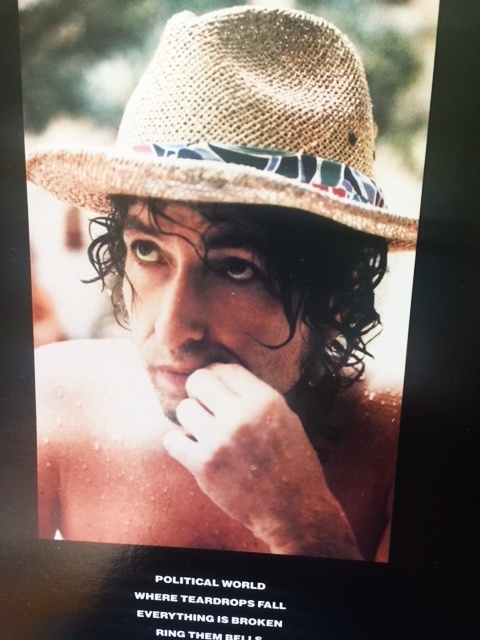 The songs are reflective, thought-provoking, melancholy at times and masterfully produced by Daniel Lanois, whom was recommended to Dylan by Bono. Dylan and Lanois later re-connected to produce the Grammy-winning Time Out Of Mind. I like the way Tony Attwood begins his review of this song at Untold Dylan: The musical opening of the recording on Oh Mercy is a triumph on its own. A remarkable opening to the album. A gentle fade in as each instrument comes in of its own accord – rhythm guitar, lead guitar, bass, Dylan’s voice, drums. By the time of the end of the first “verse” the power is extraordinarily strong. The rhythm reminds me of the unrelenting energy of a runaway train. Once it's up to speed it just rolls along, verse after verse. There are no choruses. There's only the energy that's been generated which continuously regenerates. The power of so many of Dylan's songs is their timelessness. "Blowing in the Wind" served the civil rights and antiwar movements of the Sixties, but it has not lost a minute of its relevance today. And when in the classic "It's Alright, Ma" Dylan wrote, "Sometimes even the president of the United States must sometimes stand naked" is there a commander-in-chief that this has not applied to? "Political World" pulls back the veil, shows us how much we've only been fooling ourselves to be glib about it all. Having recently watched Tinker Tailor Soldier Spy, based on the John le Carré Cold War novel, featuring Gary Oldman as the Brit spy George Smiley, it's easy to hear echoes in this song, of a realm all shadow and darkness. Who are the good guys? Who are the bad guys? The murky political world is neither friendly or inviting. It wears masks and harbors secrets. It plays rough. Mercy walks the plank. It's ugly. I think here of the scene in L.A. Confidential where Bud White (Russell Crowe) finds the dead body in the basement, rats crawling about, the suffocating stench. It's not pretty. This has been a recurring theme in Dylan's work. Not unlike "Masters of War" or the irresolution of "All Along the Watchtower." "There must be some way out of here..."
I think too of 'Shot of Love." "I've seen the kingdoms of this world, and it's making me feel afraid." That's the problem with seeing. When you've seen too much, how does one un-see? So we self-medicate. One feature of this political world we live in has to do with the judgments made on every facet of our lives. It used to be that shopping at Wal-Mart was a choice people made to buy cheap goods. It eventually evolved into a political act, non-support for American-made (union-made) goods. Eating at the Golden Arches also became a statement as we become aware of "factory farms" and the manner in which beef is processed. Sometimes the politics of various factions collide so that union miners want jobs but Earth Firsters want to protect the environment. The net net is that people keep their mouths shut about what they believe because open discussion can result in lost friendships. This was the "Silent Majority" Nixon counted on for his election and re-election, along with his bag of dirty tricks, a toolkit that both our major political parties count on while simultaneously denying. One difference between the "political world" of decades past and today is that with Wikileaks we really do see behind the Wizard of Oz's curtain... and with social media's pyrotechnics, more than your head is left spinning. Founding fathers are turning in their graves. "Who Listens?" On board the Blue Heron, a Great Lakes research vessel. 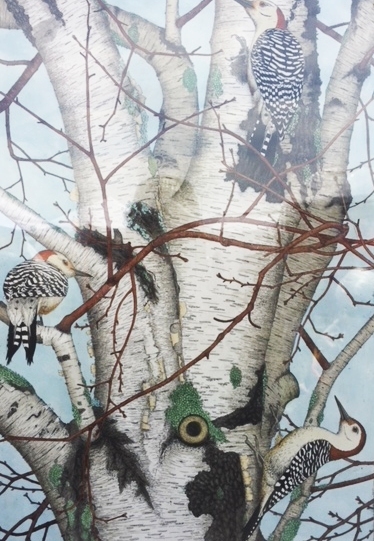 I'm not sure how many times Adam Swanson has been voted "Best Artist" (or "Favorite Artist") in the annual Reader poll, but he's certainly made a name for himself here in the Twin Ports arts scene. His paintings have become a fixture in numerous locations, his style distinctive for its color palette as well as his loose painterliness. At one time he listed Vincent Van Gogh, Andrew Goldsworthy and Toulouse Lautrec among his influences. On board the Blue Heron. Much of his work has had recurring themes such as hot air balloons, bicycles and penguins, the latter inspired by a stint in Antarctica with the National Science Foundation when he was younger. 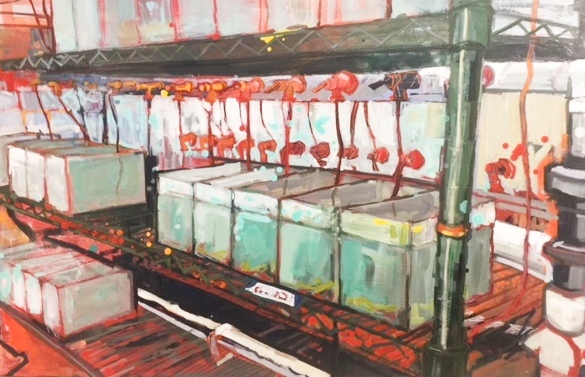 He's also included robots in some of his paintings, indicating a certain fascination with technology. 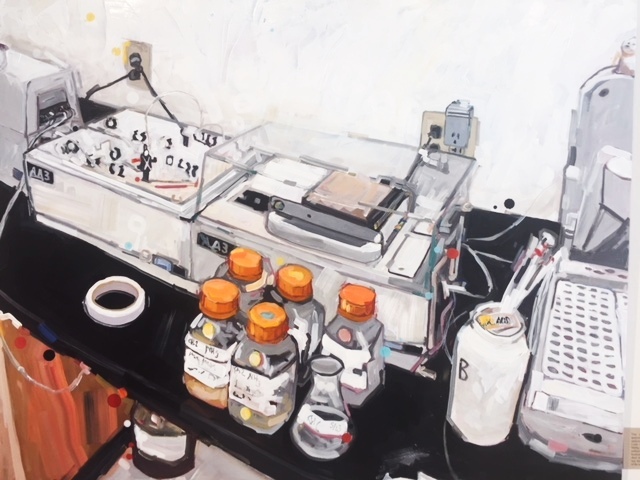 It's this latter fascination that led him to seek funding to produce a body of work featuring science as it's subject matter. 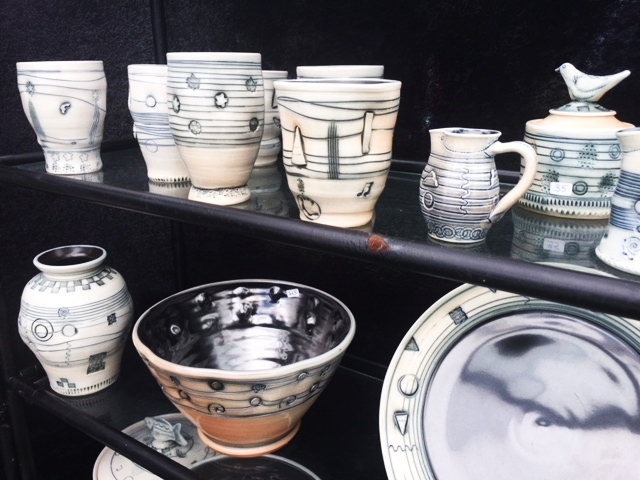 The show, which held its opening reception last night at Duluth Pottery, is titled Science Art. Swanson was aware that there is a ton of research going on in the region, but most of it takes place outside of the public eye. His aim in this show was to depict and share some of the activities that we don't see all that often. By reaching out he obtained opportunities to visit the EPA and other entities. 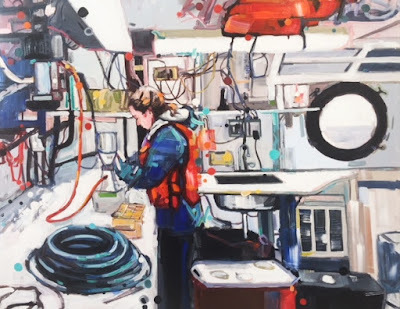 He was, for example, given the opportunity to spend a day on the Research Vessel Blue Heron where he watched the team gathering water samples to measure the quantity of micro-plastics in our lake water. 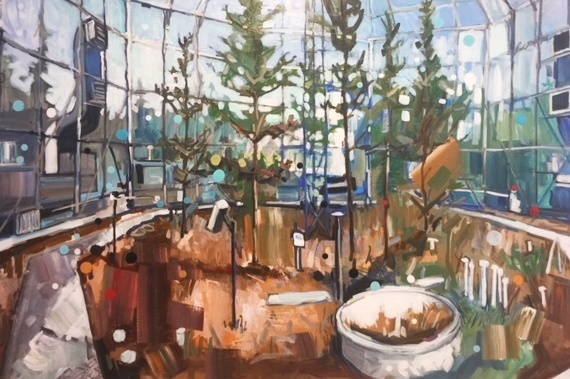 Another scene is that of a 2800 acre Experimental Forest north of Grand Rapids with ten temperature/CO2 greenhouse chambers designed to measure the effects of global warming on bog and peat lands. It is part of an ecosystem experiment that Swanson says "is one of the most amazing places I have ever been." Keep in mind this is from a guy who spent time in Antarctica. The project is called SPRUCE. His painting titled "The Stuff of Life" features an EPA Stable Isotope Rationing Mass Spectrometer dialed in to measure isotopic ratios of Carbon, Nitrogen, Oxygen, Sulfur and whatever else you set about to measure, based on the premise "you are what you eat." 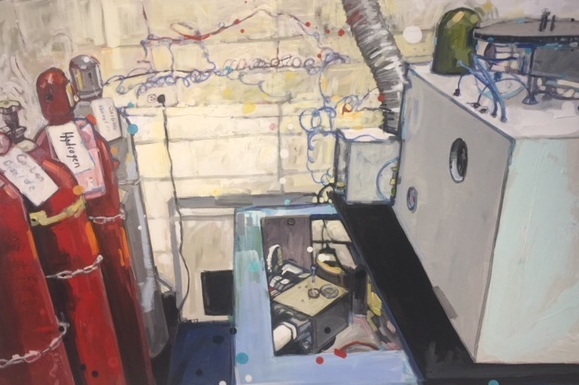 Another painting features EPA water tanks where chemicals, poisons and nutrients are being measured and tested. In short, every picture tells a story. It's an impressive show. Make it a point to check it out. Here's the Latest Buzz: Mark your calendars for the Honey Bee Folk Festival August 3&4 at the Oldenburg House, Carlton. TOMORROW from 4 till late, the monthly Friday Night Art Crawls begin in the HeART of Duluth. 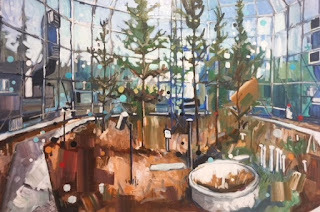 Off the top of my head, you can start at Lizzard's and Ryan Tischer's Ten Days in Iceland, Cami's show at Duluth Coffee, Joseph Nease Gallery or the Four Friends exhibition in the Great Hall @ the Depot... Pick up a map and find out where all the other art action is taking place. Gotta bring my appetite next year. How does your rhubarb measure up? As Cyndi Lauper once sang, "Rhubarb fans just want to have fun." Will you be at Duluth Pottery tonight for the Science Art show? The dictionary defines ceramics as "pots and other articles made from clay hardened by heat." 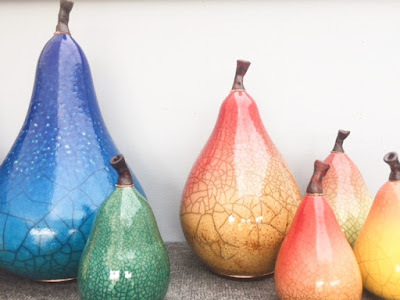 Making things out of clay is something so simple a child can do it, yet even after a lifetime the master ceramicists are learning new things about firing techniques, glazes and the possibilities of the medium. Like writing, playing an instrument, or drawing, it's something everyone can enjoy. But mastery is something wholly other. 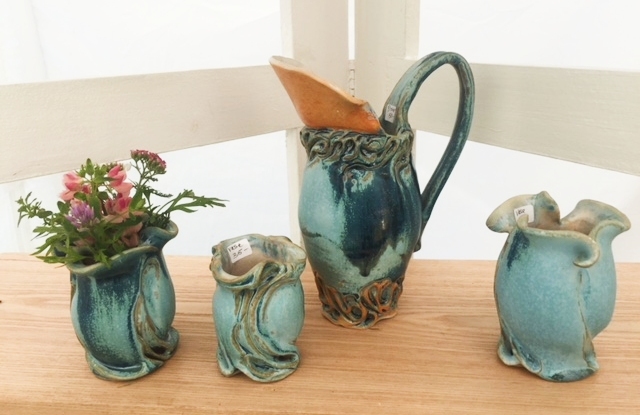 Making pottery goes back to ancient times. It must have been interesting when the first clay bowls were actually placed in a fire and hardened. 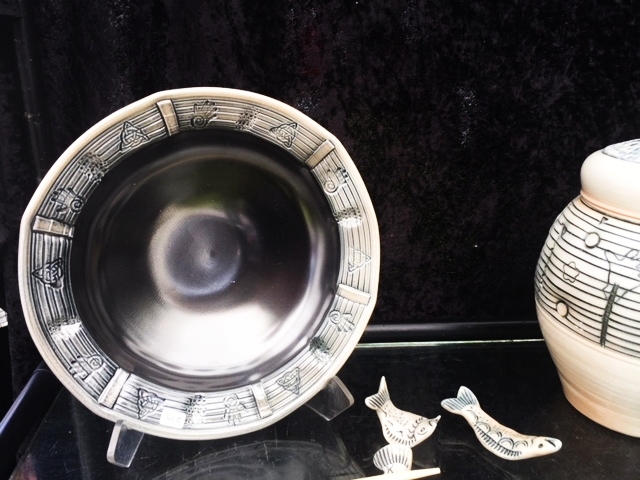 Shards of broken bowls and pots are among the items most often found in archaeological digs. More than 2500 years ago the prophet Isaiah wrote "Yet you, Lord, are our Father. We are the clay, you are the potter; we are all the work of your hand." And Jeremiah expressed similar sentiments after being instructed by the Lord to go down to the potter's house. I like the look of Gail Rosenquist's pieces. 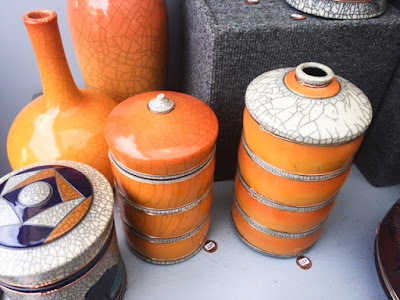 In 1981, when Susie and I were living in Mexico, we worked at an orphanage that was walking distance from a small pottery business, two or three people working on wheels making bowls, among other things. There was also a brick making business, of a much larger scale, in the direction of town. Both processes involve taking raw material out of the ground, shaping it and baking it. 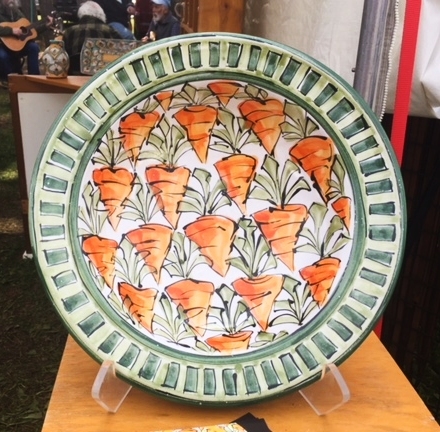 All this to say that we saw some wonderful ceramics at the Park Point Art Fair this past weekend. Here are a few pieces I especially liked. The familiar designs of Husby Pottery. 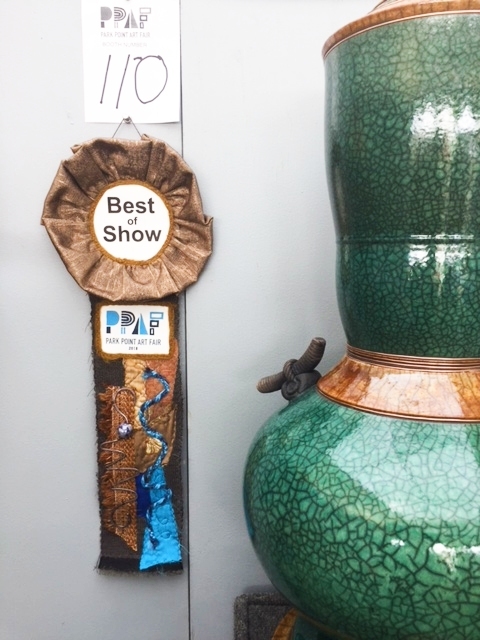 were awards Best of Show this year. Friday evening from 4 till late is the Duluth Art Walk. Meantime art goes on all around you. Do it in Duluth. This weekend was the 48th Annual Park Point Art Fair. I would love to photos from the early years if you have them. I can't imagine that all the artists back then had pop-up tents, though I could be wrong. I doubt many had devices for accepting and processing credit cards. Few, if any, had business cards and none, you can be sure, had a sign-up sheet collecting email addresses so they could stay in touch with you after the show. As has been the custom in recent years, it is a juried fine arts show, though also am arts and crafts commercial center of sorts. That is, it costs money to maintain a presence here and the aim by day's end is to sell products. In other words, it's work, and when all is said and done the hope is to end up on the positive side of the ledger. The setting couldn't be more beautiful, at at the end of Park Point Recreation Area near the Beach House. The sand dune serves as a windbreaker, from cold breezes off the lake; the sun warms bodies as well as hearts. Saturday was a hot one, but yesterday was perfect. Considering that it can sometimes rain on the outdoor shows, the weather could not have been nicer. The woodcut prints by Stanley Leonard were remarkable. 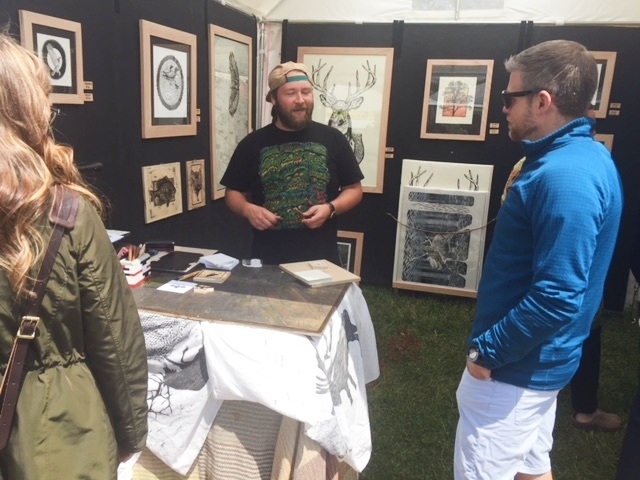 An assortment of food trucks take advantage of the occasion each year to service the 120 artists and their friends as well as the estimated 10,000 visitors who meander through. There were picnic tables arranged near a makeshift stage where musicians performed throughout the two days. We watched Jason and Veikko of WoodBlind for a bit. They were accompanied by the Monkey Man. Always fun to listen to. 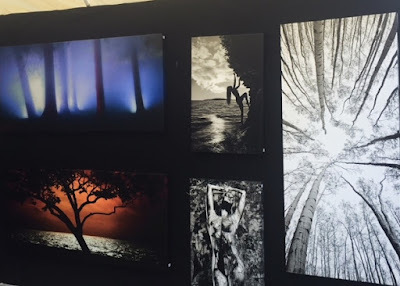 Anyways, here are some photos from our art fair walkabout yesterday. I'm saving my ceramics photos for tomorrow. There were so many things to see and share. 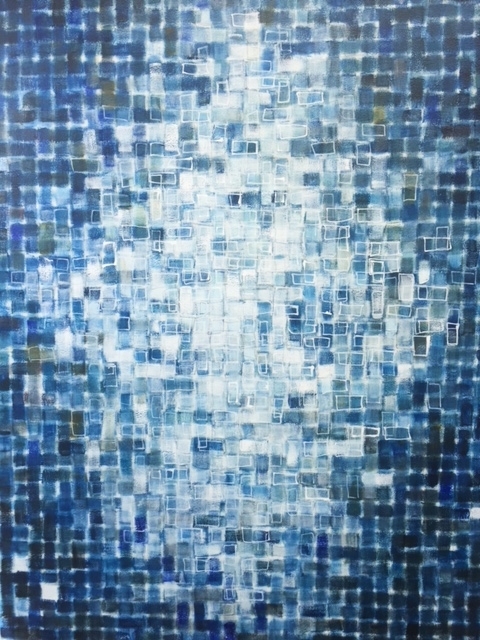 Jim Dee's paintings were designed to put you in a meditative frame of mind. And plenty of jewelry to select from... for yourself or that special someone. 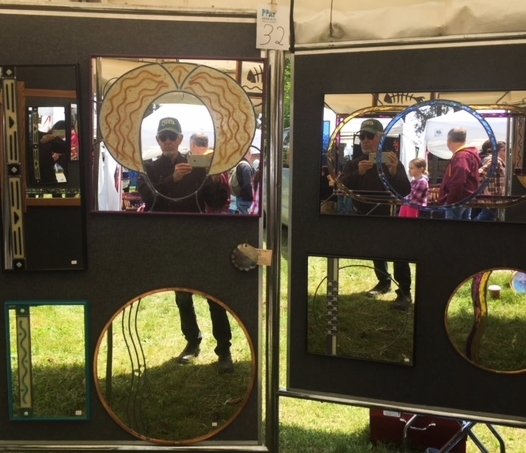 These mirrors were quite striking. 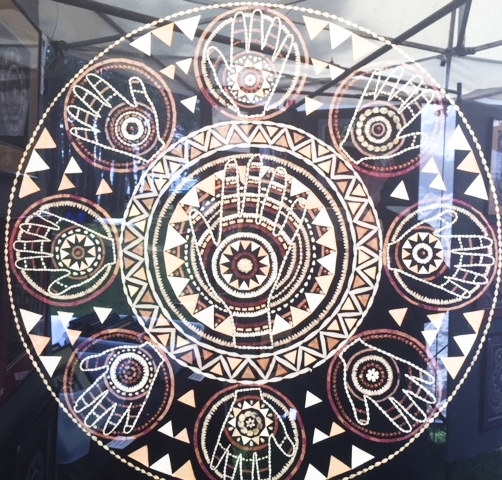 Looking for a unique mandala? If you've never been, then mark you calendars. It's always the weekend after Grandma's Marathon. 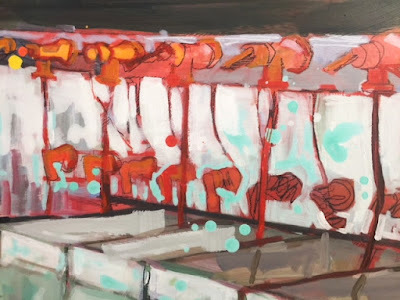 This coming weekend is the Friday Art Crawl (Joseph Nease Gallery, Ryan Tischer Photography, Duluth Art Institute and more). But it is also the annual Free Range Film Festival at The Barn in Wrenshall. Yet another weekend in which you wish you could clone yourself. Meantime art goes on all around you. Engage it! Church Signs: Signs of the Times?